Whatever you may think of Christopher Columbus’ legacy, one fact remains true: His fateful “discovery” in 1492 forever changed the history of the world. Originally sailing the ocean blue with three Portuguese vessels, the Nina, the Pinta, and the Santa Maria; Columbus returned home with only 2 ships. Why? Because on Christmas Day in 1492, Columbus and his other lead sailors left command of the ship in the hands of a “boy” while they slept. The Santa Maria ran aground and quickly took on water. The decision was made to rescue the cargo and abandon the ship. Underwater archaeologists have been searching for the wreckage of the Santa Maria for many years. Reading through Columbus’ journal, they’ve been rather certain that the ship’s remains would be found off the coast of Haiti. And that’s just what they discovered! Skip ahead to page 199 of this online digital translation. After you read the short account, talk about how accurate Columbus may have portrayed his role. Had he really not slept for 2 days? Or, had all the sailors “celebrated” Christmas Day a little too much that they weren’t thinking when they left the ship in the hands of a young crewman? 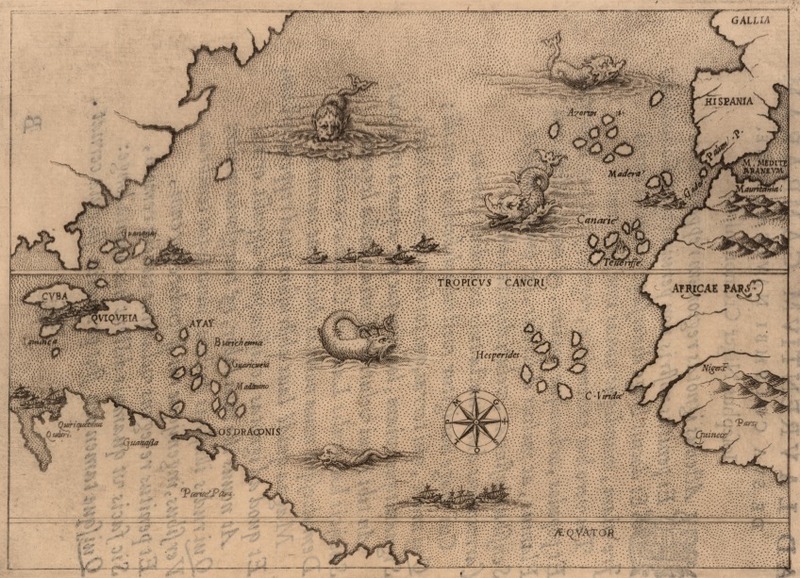 Take a look at a map drawn in 1500 that shows how the world was seen after Columbus’ first voyage. Compare the map to a modern-day version. Can you locate about where the Santa Maria went down? What are the modern-day names of the countries that Columbus visited? Back in 2003, the bell that supposedly rang from the helm of the Santa Maria when Columbus “discovered” America was found by a Spanish underwater archaeologist in different shipwreck off the coast of Portugal. Portugal sued to have the bell returned to their county, saying it had been “stolen”. What do you think? Should the person who discovered the bell get to keep it? Or, should it be returned as rightful property to Portugal, who financed Columbus’ journey over 500 years ago? Now through the end of 2014, the Columbus Foundation will be sailing their reproduction of the Nina along the East Coast and interior of the United States. Visit the website for more information about the original ship and how the reproduction was built. How are you exploring Columbus and the discovery of the Santa Maria today? This entry was posted in History and tagged columbus, Santa Maria, underwater archeaology by alessa. Bookmark the permalink.